Calculated Agriculture Support & Recomendation Engine. I am pursuing my master's in computer science and would like to innovate creating Apps / tools using technology for the farmers and nurseries to improve the irrigation or gardening process which could save some natural resources like water. Fortunately the weather insights of Bluemix helped me to create a mobile app to estimate the amount of water needed by the various crops to grow optimally. 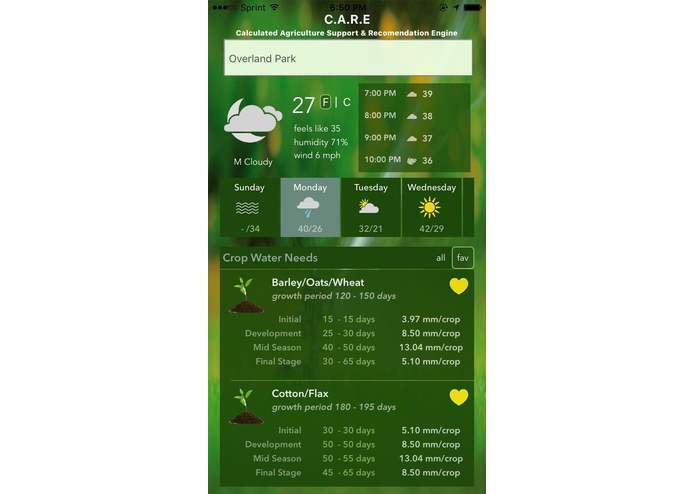 Based on daily mean temperature this app helps to estimate approximate water needs by different crops or plants under different climatic conditions and locations. This app help us to forecast certain farming conditions upfront up to 10 days (based on provided 10 days weather conditions). 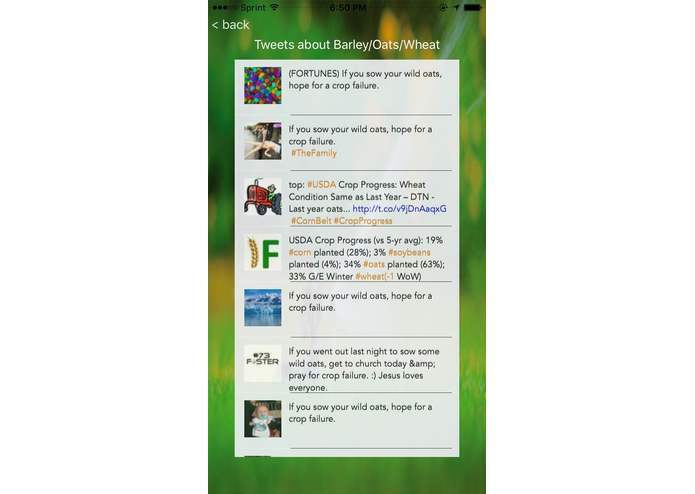 And also CARE app is integrated to social media Twitter, so that we may know the latest happenings or information around the world for each selected Crop. It is iOS mobile app built using Swift technology as front end and Backend services built on Node js SDK and integrated with Weather Insights and Twitter Insights. 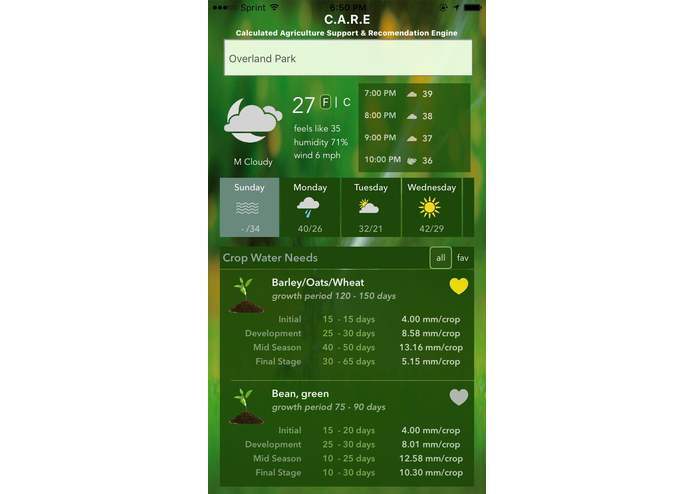 Currently CARE app is limited to certain Crops and locations; I may need some data source for different crop’s historical growth data to provide more accurate information. I think I made an initial step to tie the technology and crop water needs w.r.t climatic conditions.. I would like to enhance my App further with more modules like Notifications to notify weather forecast. Also would like to gather analytics based on App usage for further enhancements.